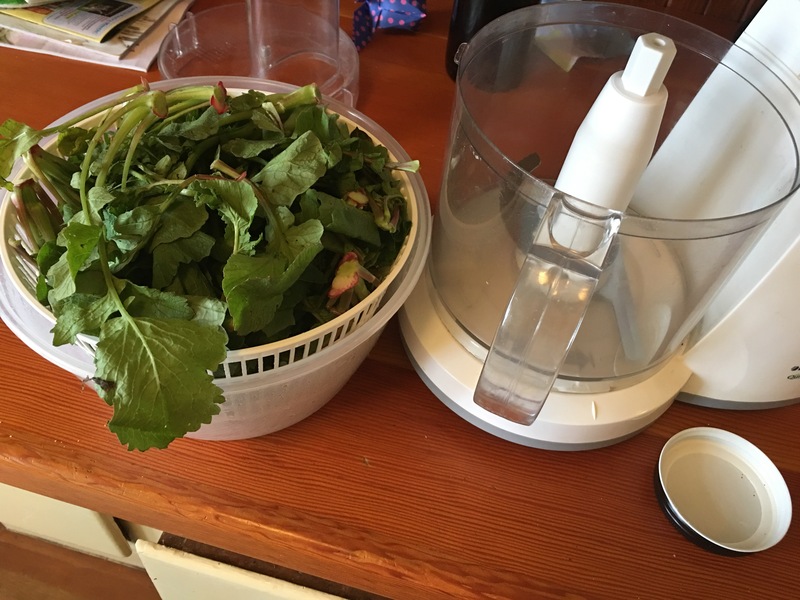 The first step of eating mindfully for me is preparing elements of meals in advance so they can just be thrown together easily(I had a hard boiled egg over microwaved broccolini for breakfast today). 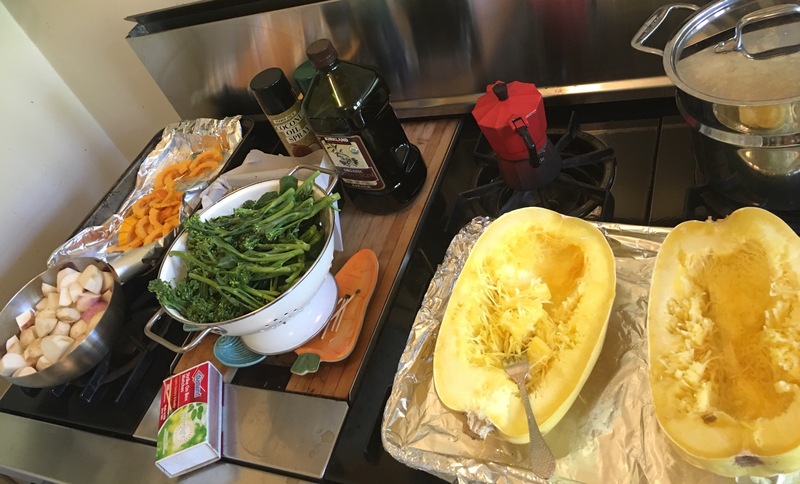 This week I cooked a gigantic spaghetti squash, as it is a great non-grain base for bowls of protein, sautéed greens, and healthy sauces. 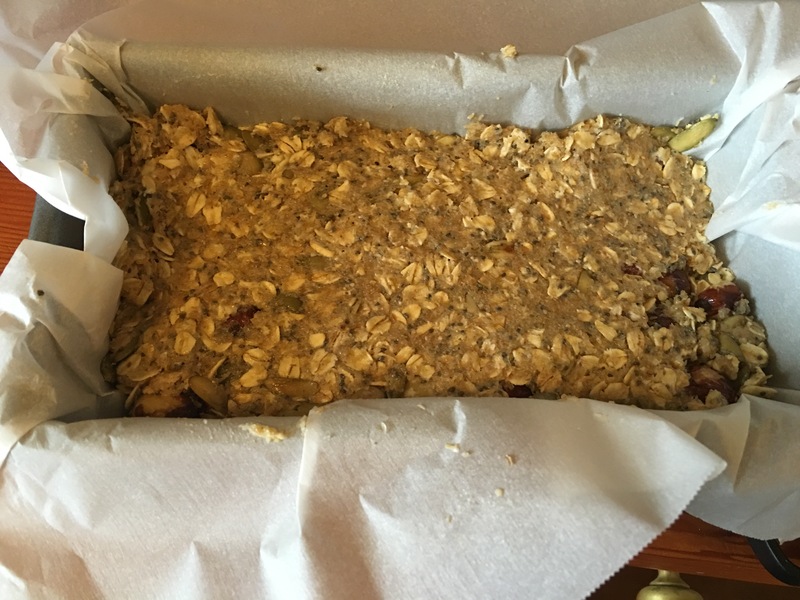 Place on a rimmed baking sheet, cut side down, in 1/2″ water. Place in a 400 degree oven for 25-30 minutes depending on how big your squash is. 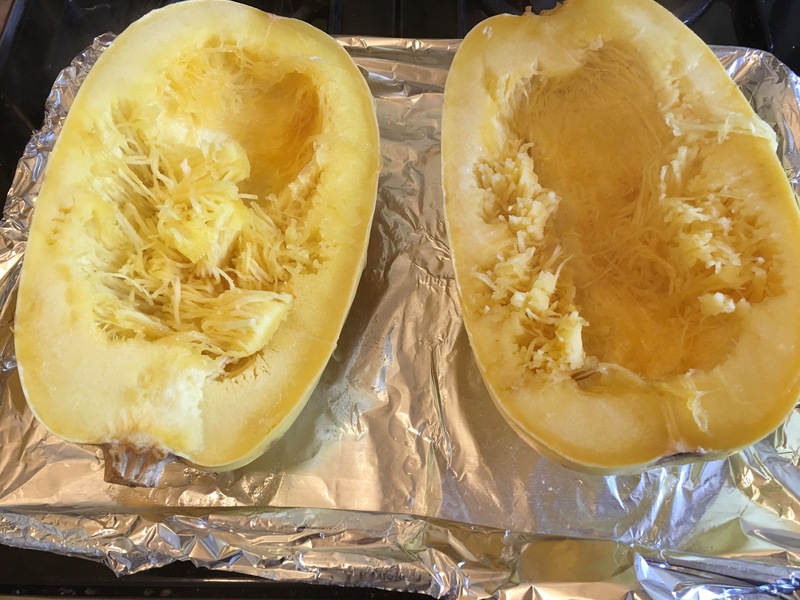 Over-cooked spaghetti squash is icky, so test your squash after 20-25 minutes. If it shreds easily into spaghetti, it is ready! I shred it all and put it into containers in the fridge. I roasted a pan of turnips, and steamed and sautéed a few bunches of broccolini with oil and garlic. 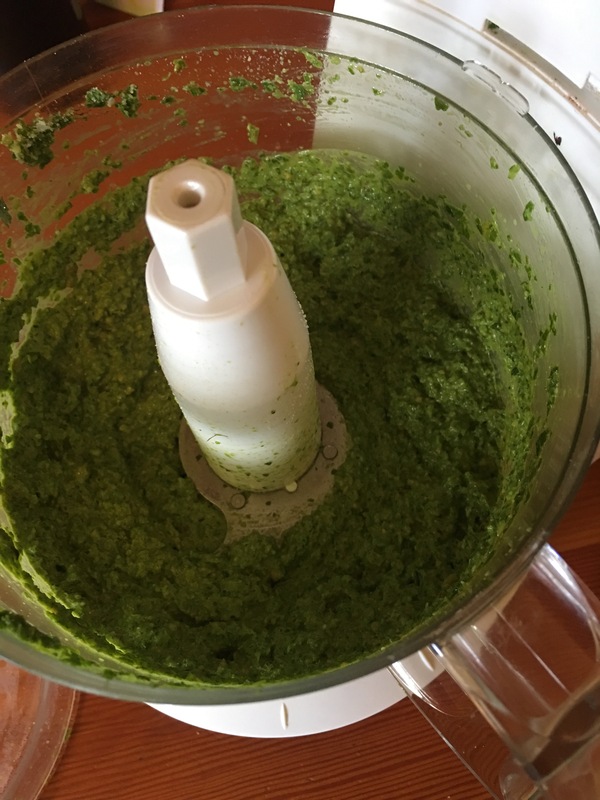 In addition, I used the tops of radishes from the farmer’s market to make radish & pistachio pesto, which makes a great dip, sauce, or spread. 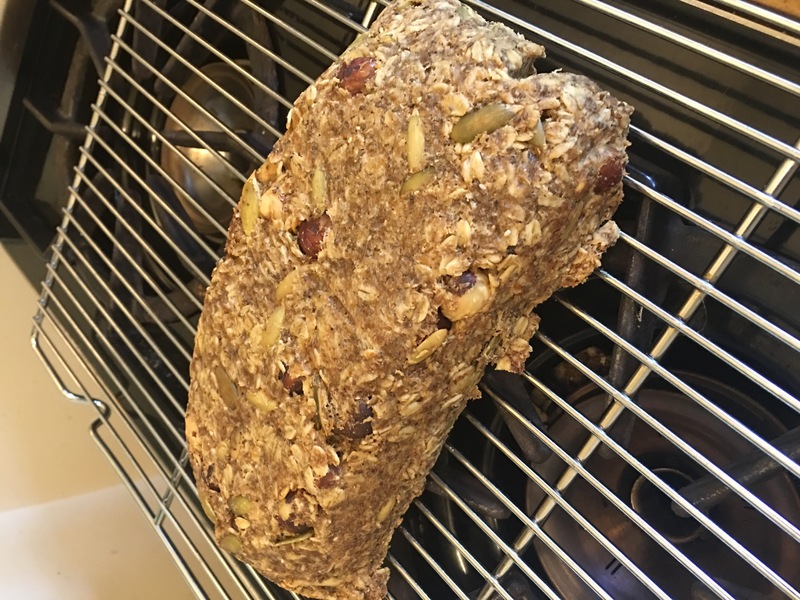 Because I try to avoid excessive grains when doing a reset, I also make a loaf of this bread. 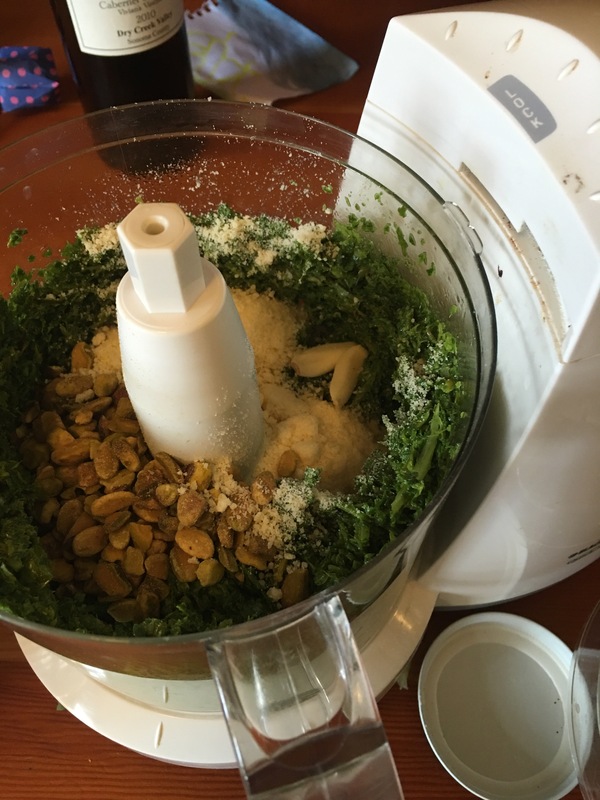 It is dense, chewy, and tasty, a great side for soup or base for avocado toast. 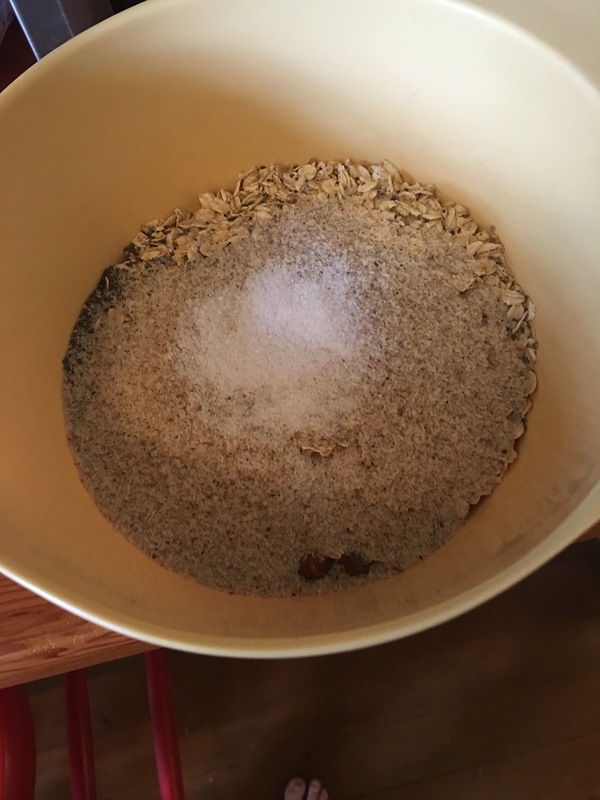 I still limit myself to 1-2 pieces of this a day to keep with my commitment to variety, so it lasts a nice long time, sliced in the freezer and ready to toast. I also hard boiled a few eggs for quick protein, and cold-brewed a pitcher of hibiscus herbal tea for sweet-drink cravings. So far my first day is going to plan- time to drink some water!